*Some payments taken on tour. Join us on a huge adventure as we sleep out under the stars, explore ancient landscapes, eat delicious food & experience an unforgetable Australian camping experience in Uluru. We'll visit all the best attractions; Uluru (Ayers Rock), Kata Tjuta (The Olgas) and Kings Canyon in Wattarka National Park. All the while, travelling in small groups, camping in swags around open campfires and creating some amazing memories and new friends. Pick up from Ayers Rock Resort (Outback Pioneer YHA) at 12.00pm from the main reception or we can Pick up from Ayers Rock (Uluru) Airport when you arrive. You must land before 2pm for same day pick up. Enjoy a 3 hour guided hike through the sandstone domes of the Lost City. Visit the many Amphitheatre, North & South Walls. After lunch you will be dropped at a luxury tranfer coach that will take you back to the Outback Pioneer. This is a 5 hour trip arriving at 5.30pm. Tonights accommodation is at the Outback Pioneer in shared dormitory. Catch the complimentary shuttle to the airport. 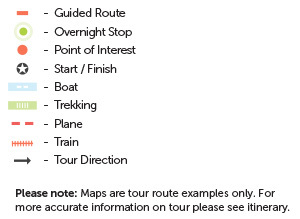 This itinerary suits all departing flights.